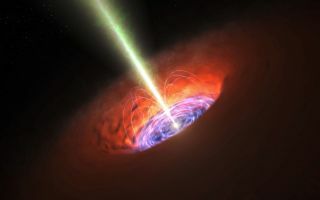 This artist's concept shows a black hole's surroundings, including its accretion disk, jet and magnetic field. Mars One seeks billionaires, Ceres and Dione get close-ups, a Martian hoax is debunked and Stephen Hawking solves a black hole conundrum in Space.com's top stories for this week. Private space stations coming soon?